BOO! Arizona 2017 is coming back to Tucson with a hard-hitting line up that tops last years! 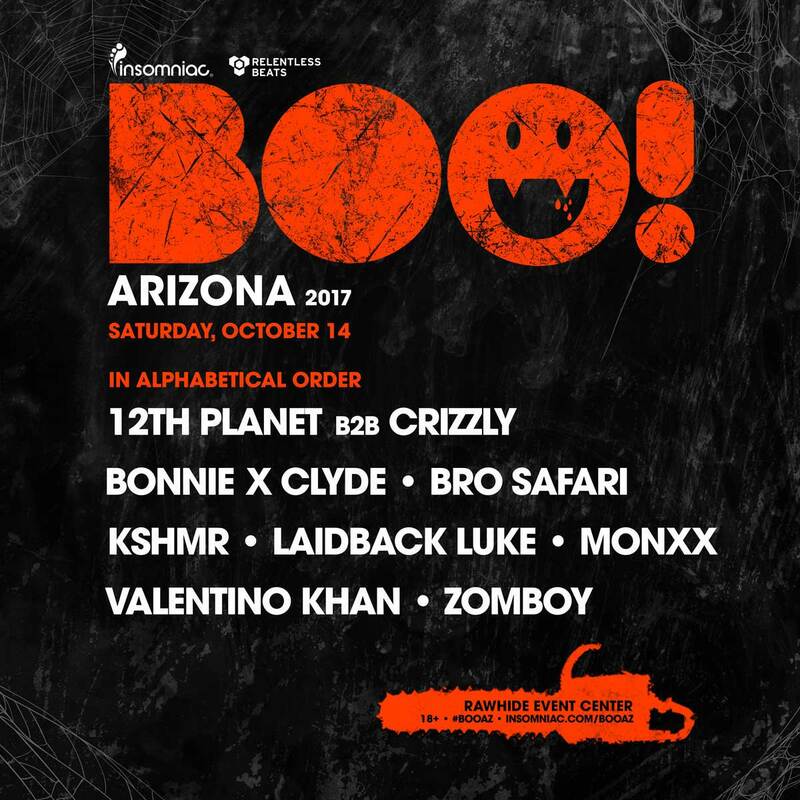 Headliners include 12th Planet b2b Crizzly, Bonnie x Clyde, Bro Safari, KSHMR, Laidback Luke, Monxx, Valentino Khan, and Zomboy, this is something you do NOT want to miss! With all of these headliners, a diverse type of sound is about to go down!!! There will be so much bass at BOO! Arizona 2017...do not miss out on this stacked lineup! The show is on Saturday, October 14th @ Rawhide Event Center in Chandler, AZ. Get your tickets and get emmm NOWWWW!!! Don't forget to tell all ya friends and tweet us @kamprpm about what you're going to dress up as for BOO!